← BRICS in Africa: new imperialism or a new development paradigm? 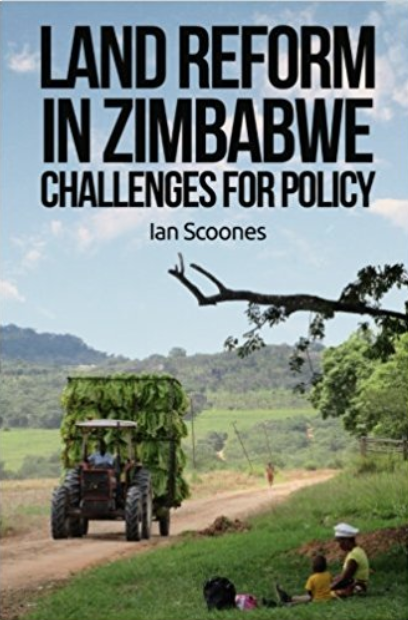 Reviews of our book keep piling in; this time prompted by the recent publication of Zimbabwe Takes Back its Land, a more popular summary of the main studies of Zimbabwe’s land reform. The latest is by Martin Plaut in African Arguments. He broadly agrees with our findings, but says he is still awaiting a ‘really authoritative’ account. His main complaint about both books, it seems, is that authors on both are not only researchers but also resettlement farmers, and beneficiaries of the land reform. This he says has resulted in biases in our accounts. Authorship, bias and evidence are themes I have written about before on this blog. But since they keep coming up, perhaps they are worth returning to. In Martin Plaut’s piece he argues “if the backgrounds and politics of the authors intrude into the study it lessens its objectivity”. Yes, I agree. But we equally cannot ignore our backgrounds and politics, and that’s why I make the case for reflexivity as essential for enhancing rigour. Just because some authors of our book, just as the new one, come from diverse backgrounds, with different experiences and contrasting political positions, this doesn’t mean that the data we collect and the evidence we present is necessarily ‘biased’. In fact, I would argue, quite the opposite. In the case of our book, the core team has worked together for 25 years, and knows the study area intimately. That some of the team were beneficiaries of the land reform programme allowed us particular insights. But others of course were not farmers and not from the area, and, crucially, all of us have a passion for detailed fieldwork, systematic data collection and careful analysis. This is why we presented so much detail in the book (against the objections of our editors! ), so it could be scrutinized, evaluated and critiqued. In his commentary, Martin highlights BZ Mavendzenge in particular, the field team leader, whose farm he visited (which was incidentally purposely not in our study area) in 2011 as part of a BBC team. When it came out, I sent the review to BZ by email – direct to the farm, where if you go to a small hill above the house, behind the new chicken runs, and beyond the well you can get good service and download emails these days. He wrote straight back. He asks, “Does authoritative mean an aerial view from outsiders? Surely, as Chambers says, farmer first is the way forward…”. He goes on, appreciating the rest of the piece, “Martin I think agrees there was much to see to be proud of about accumulation from below”. So how should BZ, as an author, be represented? As farmer, researcher, land reform beneficiary, former government civil servant, born and bred in Masvingo province, or what? He is of course all of these; and each identity helps shape his insights and perspectives. In particular as a researcher, trained at agricultural college and then working at Matopos research station, before taking over the lead of the Department of Research and Specialist Services’ Farming Systems Research Unit in Masvingo, BZ has unparalleled insights into the dynamics of farming systems in the area. This is why I have so enjoyed – and benefitted from – working with him all these years. What about Martin Plaut? How should we read his review? As someone who was born and bred in apartheid South Africa, educated at universities with largely white students, or as someone who was centrally involved in the anti-apartheid struggle and the 1976 Soweto uprising, or as formerly Head of the Africa section of the BBC World Service, and a brilliant reporter on the Horn and Southern Africa, or, now retired, and a Fellow of the Institute of Commonwealth Studies? Again, he is all of these; and these experiences and positions allow him to carry out really authoritative, top-notch investigative journalism and writing (just check out his recent book on the history of the ANC to get a flavour). All authorship is so conditioned, but this should not imply bias. And we should avoid jumping to conclusions just because of the author’s status or experience. Any evaluation must come through more rigorous assessment of data and analysis. This is the reason I have objected before to statements from the Commercial Farmers’ Union, for example (see here and here) – not because they are from the CFU, but because they are wrong! I have previously commented both on Martin’s otherwise excellent BBC radio pieces he did in 2011 on Zimbabwe, and also when certain information was presented on the costs of land reform, and replicated in articles on the BBC and elsewhere as fact. BBC balance is an article of faith but sometimes does not serve the search for truth well. A journalistic piece that presents all sides as equivalent sometimes ends up being unbalanced. If equal airtime is offered to detailed, rigorous research undertaken over years and commentaries based on figures that seem to have been plucked from the air to suit the argument, this is not exactly balance in my view. This is not to argue that both our book and Zimbabwe Takes Back its Land don’t have silences, gaps and contestable arguments. Of course. That’s why we publish, encourage debate and urge others to do more research. What we don’t expect is our work – or indeed anyone else’s – to be dismissed on the basis of who they are, rather than what they say. As I keep pointing out in this blog, it’s not as if we don’t have plenty of empirical evidence to go on these days. This accumulation of insights is getting seriously ‘authoritative’ and pointing, broadly but with important nuances, in the same direction. It’s irritating sometimes that our book is the only one that gets mentioned (and now of course the new one), just because we hit the limelight (not least I suspect because the lead authors of both books are based in the UK, and are white and professors). But actually there are piles of other research, research and written by Zimbabweans, not least the impressive district studies led by Sam Moyo and team at the African Institute of Agrarian Studies, and the new book by Prosper Matondi, based on the work by the Ruzivo trust team. The map below shows all the studies I know about (likely a partial sample), and it’s an impressive array, both geographically and in terms of breadth of authorship. Across these studies, we can triangulate, compare, synthesise and generate, yes, really authoritative insights. So, why the reluctance to accept the findings? Why the questioning of authors’ credibility? Why the lack of counter-data coming forward? I think some of the answers do indeed lie in the positionality and politics of the commentators. It is difficult accepting a new situation, and rejecting positions long held. It is unsettling, discomfiting and challenging. But that is what good research – and indeed good journalism – sometimes has to do if we are to seek ways forward. Just as Thomas Khun argued now over 50 years ago, settled paradigms are difficult to shift for all sorts of political, social and institutional reasons, but when they do, then ‘normal science’ can proceed, and the new paradigm can be unpacked, contested, unravelled, adapted and elaborated. For most serious scholars in Zimbabwe, it is this normal science that is unfolding now, as we do follow up surveys, new rounds of case studies, and examine our older data in the light of new findings. I will be sharing some of these new field findings in the coming weeks and months on this blog. Just as all good ‘normal science’, the new data both confirms, but also nuances and sometimes contrasts with, the early findings. I hope that Martin and others find our new contributions ‘authoritative’ enough! Martin Plaut’s review is good, but even he doesn’t mention that Mugabe’s violent land invasions had nothing to do with returning land to people and all about weakening the position of the MDC which is why he used it to dispense rewards and bribes. That some A1 farmers are able to make a living from this land will never undo the brutalization of people that characterized the event nor reverse the poverty it unleashed – along with other Zanu PF policies . I know – I deal with the fall-out, here in South Africa, working for a refugee organization that mainly helps Zimbabweans who would rather struggle with a xenophobic and uncaring society here than return to their home country. Enlightening article thank you. (1) Great to hear about new research by Zimbabweans Sam Moyo and team at the African Institute of Agrarian Studies, and new book by Prosper Matondi based on the work by the Ruzivo trust team. (2) Your articulation of: Our work – and anyone else’s – needs to be evaluated on what it is & says, not on the basis of who they are. Can you produce a link to the studies on the map. There is a pink one NNE of Bulawayo and two immediately beside Bulawayo. These three would be helpful. What do the colours mean – is it representing different organisations.